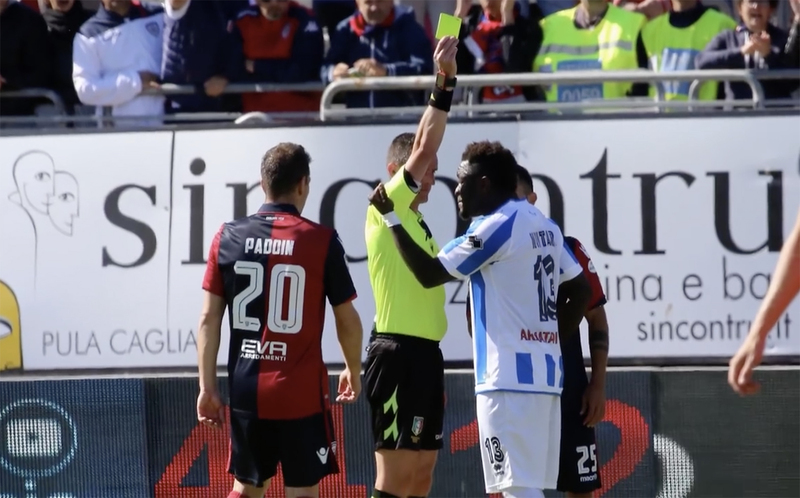 Pescara FC member Sulley Muntari walked off the pitch in protest when a referee booked him after he claimed he was being racially abused during a league match. The 32-year-old former Ghana midfielder asked referee Daniele Minelli to stop Sunday’s Serie A game at Cagliari. Instead, Minelli booked for dissent in the 89th minute, prompting the former Portsmouth and Sunderland player to leave the pitch in protest. Speaking after the game, Muntari said, “The referee should not just stay on the field and blow the whistle, he must do everything.